Sony has revamped the 23MP camera they've been using for a while, and demoted the once flagship-grade sensor for its XA mid-range series. 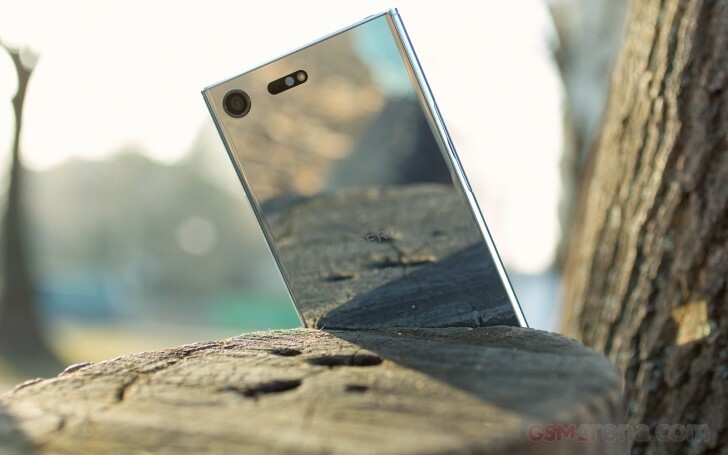 Instead, it developed a new top-of-the-line 19MP IMX400 ExmorRS sensor also known as Motion Eye, which we already saw on the Xperia XZs. There is a lot of innovation going under the hood. Instead of the usual 2-layer design, the new camera features a RAM chip sandwiched right in between the sensor and control circuitry layers. This serves as and ultra large and ultra fast buffer where the camera can temporary offload photos or video without the need for waiting to store everything in the permanent storage. That has a number of benefits. For one, the sensor reads out the full resolution 19MP image 5x faster, which prevents the nasty rolling shutter in photos of fast moving objects. It also enables the headline feature - 960fps HD video! Most phones manage 240fps at best, but the Motion Eye allows you to stretch time four times longer even if the stretched moment is only a second in real life. Sony went with a slightly lower resolution for this IMX400 Exmor RS sensor (previous models were at 23MP), but have kept the same physical dimensions, so this has resulted into the pixels being 19% bigger. The aperture is one thing that hasn't changed for quite some time - it's still f/2.0, not the brightest out there, but it's really okay. The Xperia XZ Premium uses Sony's latest camera UI. You change modes by swiping up and down (or left and right, if you're holding it in portrait). Intelligent Auto will probably be the main mode you use, and it defaults at 17MP 16:9 resolution, so you may want to opt for the 19MP maximum by switching to the native 4:3 aspect of the sensor. There's a Manual mode too - it includes full range shutter speed selection (1/4000s - 1s), exposure compensation, white balance, and a manual focus slider. The ISO setting is still tucked away in an extra settings menu, though. It could go as high as 3200, but the Intelligent Auto can max it out at 12,800 if the occasion demands it. Speaking of the automatic detection - the Auto mode detects when the phone is mounted on a tripod and allows for lower ISO/longer shutter speed to improve low light photography. There should be no need to go to Manual mode to lower the shutter speed for nice low-light images, the camera does this by itself when stabilized properly. The new RAM buffer has allowed for another feature called Predictive Capture. When the camera detects fast paced movement, it records a few of the moments before you pressed the shutter. So, if you were late clicking the shutter button, you would be able to use one of those instead. In our experience, the feature didn't work as reliably as expected. You have no control over when it activates and it didn't kick in a few of the times we were capturing high-speed sports action. Finally, most often it presented us with only one or two extra photos instead of the promised three or four. Still, for an automatic feature that doesn't require any user intervention or photography experience, it works quite well. The highlight of the new features is, of course, the 960fps slow-mo video recording, but we'll discuss this in our video chapter. We expected the Xperia XZ Premium to snap identical 19MP samples with the Xperia XZs, but that was not the case. The Xperia XZ Premium images turned out better than the ones by the XZs. In good light the phone performs great in capturing the finest details - it is a match for the 23MP cameras used before. The processing, including the colors, has not changed much since the Xperia XZ and XZs, but there is a bit more detail and less noise than the aforementioned. The major change, though, comes in the corners - the softness we experienced with so many Xperia smartphones is now gone. The XZ Premium photos have as sharp and detailed corners as their center, and that's an excellent improvement over the past Xperia phones, XZs included. Sony has worked on improving the Automatic White Balance and the colors are more accurate than their previous snappers. Indeed, the images turned out true to real life with accurate colors, great contrast and wide dynamic range. Just as before, there is a considerable amount of noise reduction artifacts even in broad daylight, which don't look good when pixel peeping at 100%. But that's our only complaint and given the high-resolution, it's hardly an issue. If you downscale those images to 12MP or less, you won't even notice these minor issues. We also snapped quite a few photos in Lisbon, where we attended the Xperia XZ Premium European launch event. Those were shot in the default 16:9 ratio (17MP), but other than being cropped, they are fully representative of the quality you would get from the 4:3 images (19MP). Intelligent Auto is great at recognizing the scenes and adjusting parameters just as before. The autofocus is fast (though still not to the level of Galaxy S7 or S8) and the dynamic range is wide, but if the scene needs HDR, the phone will shoot in Backlit mode automatically. There is manual HDR mode available in, well, Manual mode, but its switch is hidden in the advanced settings. Intelligent Auto is more than capable to enable an HDR mode (Backlit scene it calls it), so there is no need switching to Manual only to shoot HDR. The new XZ flagships, XZ Premium included, seriously increase the resolution - up to 4000px vertically, while the previous phones were only capable of panoramic images that are up to 1000px in height. Also, you can stop the panorama at any time you like, while older phones used to get confused if you don't do the full 360 degrees (which was a minor thing, but annoying all the same). 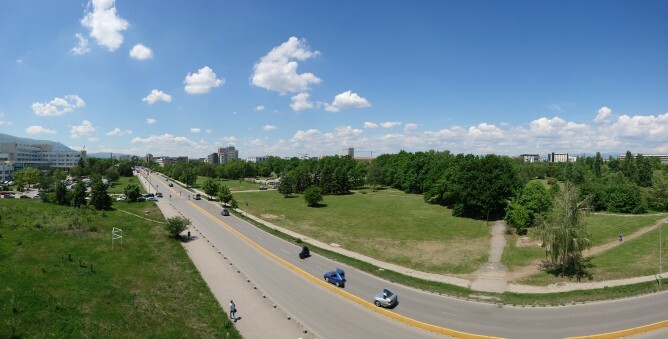 The panorama quality is good - there are no stitching traces (excluding the moving cars). The resolved detail isn't on par with the still images, but it's still satisfying. The colors and contrast, as well as the dynamic range are good.